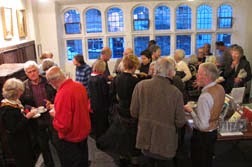 There was a large and appreciative audience at the first of this year’s Settle Sessions featuring two prize-winning writers. taken post-mortem. These were deeply felt poems about people and relationships and ranged from the moving to the unsettling to the humorous. 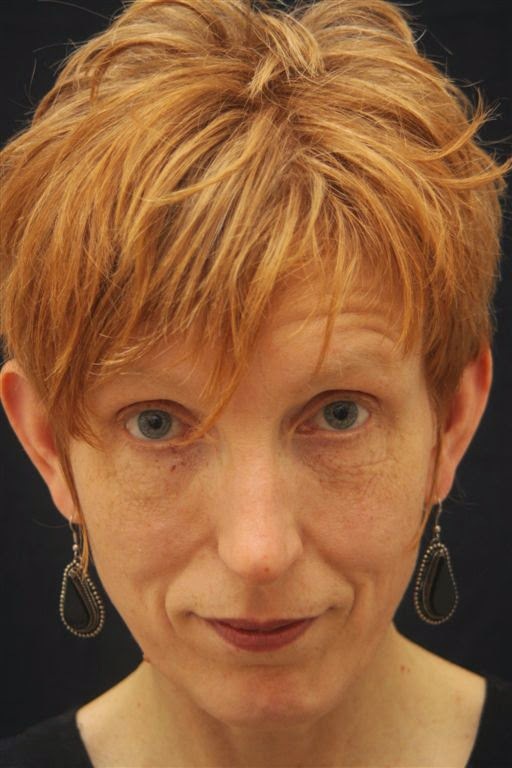 The writer gave us an insight into the origin and background of her work which helped to illuminate the poems. 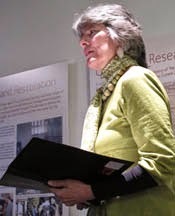 Sue Vickerman, who used to live in Settle before moving to Bradford, shared poems written by herself and by her alter ego Suki the life model. 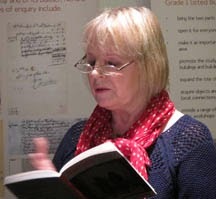 The extracts she chose were sensuous, witty and well observed and her presentation was lively and entertaining. 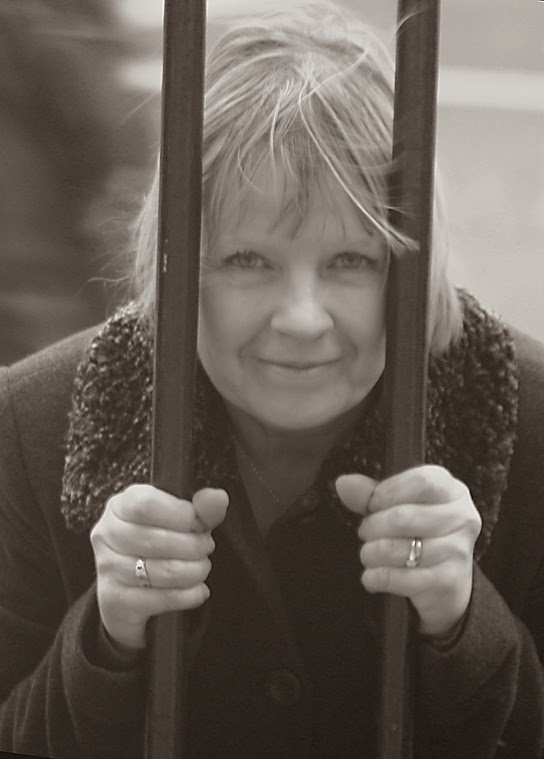 In the open mic slot, Paula Day from Cumbria read poems on trees she observed growing locally, which she wrote to accompany photographs by Val Corbett. 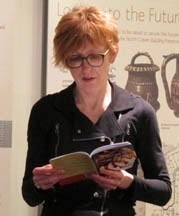 Sarah Wiltshire from Austwick read poems which had their origin in her move to live in the Yorkshire Dales and evoked the wonderful local landscape. All the contributors presented their work in an engaging way, and it was fascinating to hear different voices, different approaches, different styles, all of which enhanced the experience. The Folly provided an atmospheric and intimate space in which to hear poems, all of which were accessible, enjoyable and thought provoking.